2009 Jetstream Blue / Black Leather Chevrolet Coupe Automatic, Z51 Suspension, Removable Top, and the Chrome Wheels with Only 23k Miles! 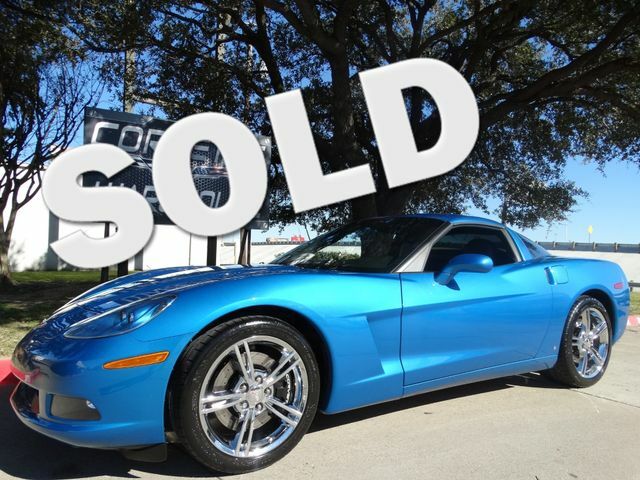 This Jet Stream Blue C6 comes equipped with the Z51 Suspension Option Package, cd player, bose radio system, removable top, and the Chrome Wheels. It is in excellent showroom condition and has been highly maintained.